TarGo Dry is the best spotter ever for removing tough oil based stains. TarGo Dry delivers faster, more complete stain removal, on a broader range of oily type stains, with greater safety for colors and fabrics. 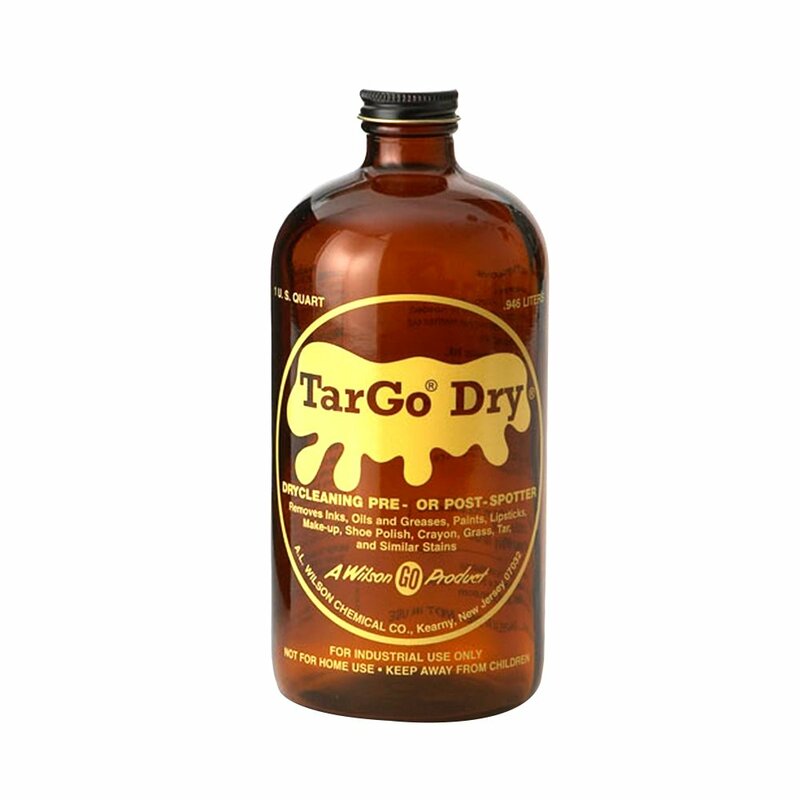 Since it contains chlorinated solvents, we only recommend TarGo Dry for use in coordination with drycleaning in Perc. Do not flush to sewer or contaminate ground water. For laundry or wetcleaning, use Laundry TarGo to remove oily stains. When drycleaning with alternative solvents, use TarGo EF.